I posted my distress to my friends on Ravelry. I said I wasn’t finding solace in my spinning at all. I got some good suggestions: switch fibers and spin something that did bring me solace, try again today, and let the fiber decide what yarn it wanted to be. They were all extremely supportive. This morning I talked with Carol’s husband, and he told me that, while still serious, the news wasn’t as dire as they’d been told yesterday. The neurologist said that there wasn’t a tumor; instead, the cancer in her brain was causing some distressing symptoms, but he felt it could be treated with radiation, which she started today. I sat down at my wheel again, and thought about how courageous and positive Carol has been through all of this. She hasn’t given up, even through the really hard times like this. I decided that I’d give the fiber another chance, and more importantly, I’d give me another chance. I’d spin it for 15 minutes and see how it went. And as I spun, I realized that my upset at hearing yesterday afternoon’s news had translated itself into my fiber through my fingers, leaving nothing but tension and anxiety and sadness. 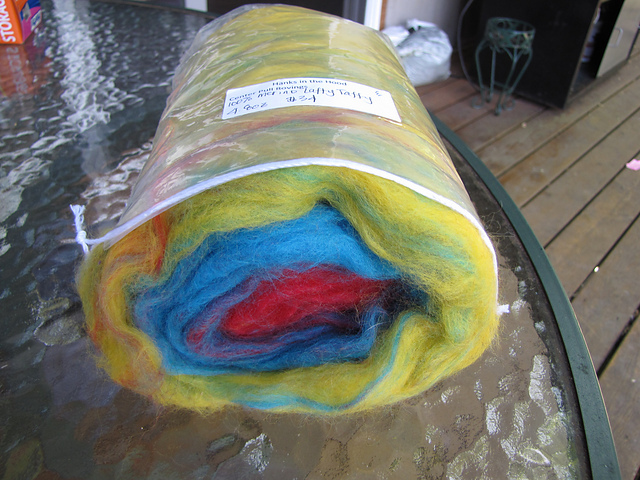 I decided to let the fiber determine what kind of yarn it wanted to be; I’d stop fighting it, and just spin it. Before I knew it, a half hour had gone by, and I was enjoying spinning the fiber, watching the colors change as they went through my fingers. The yarn didn’t want to be smooth. It wanted to have texture. Carol loves texture. It was just right. Thanks to Nolemana’s generous gift of my electric spinner, I was able to spin quite a bit today. And I was happy with what I spun. And happy that my friends on Ravelry had been such an encouragement to me. And happiest of all that I got to talk with Carol for awhile today. She told me I’m her bestie; I am so touched. Sometimes, you know, we have to step back and let ke Akua speak to us through our friends, to let what we’re working on speak to us, and to let go of control, surrendering to the process of creating beauty. 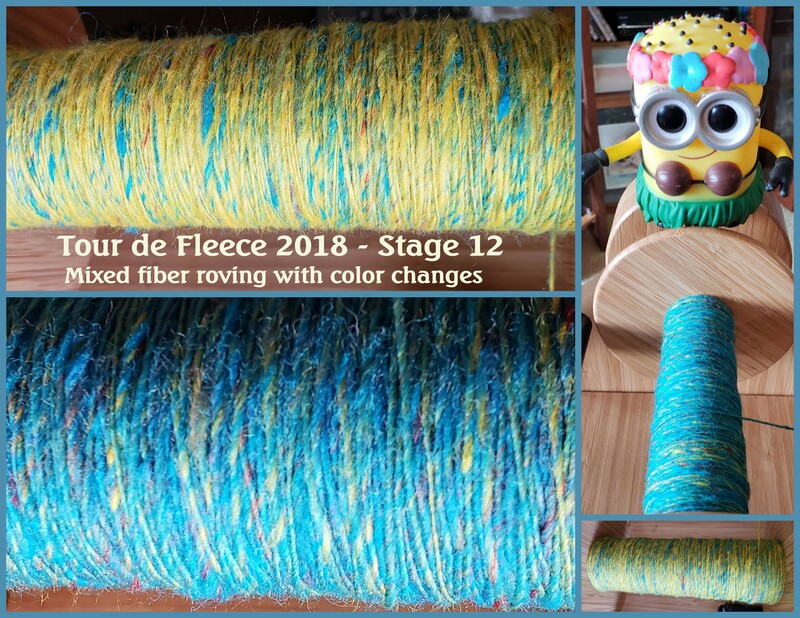 This entry was posted in Da Kine: Sometimes Full-on Pidgin, Handspinning, Tour de Fleece and tagged handspinning, solace, tour-de-fleece. Bookmark the permalink. “…surrendering to the process of creating beauty.” Yes. Great wisdom there. I am so sorry to hear about Carol. I will keep both of you in my good thoughts. Mahalo, sweet friend… I really appreciate your good thoughts for us. Carol is such a special friend.